Fast Freddy’s approach is simple; we offer fast friendly service at a competitive price with no hidden fees; like environmental, disposal, or shop fees. We perform a multi-point inspection while servicing the vehicle to help keep the customer informed not as a tool to “upsell”. At Fast Freddy’s the goal is to form a lasting relationship with our customers making them customers for life. 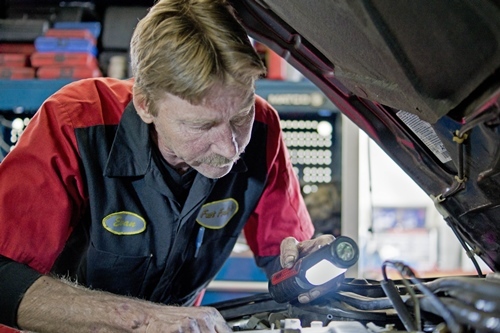 Fred has over 25 years’ experience in automotive repair and customer service. Fred and his wife Lorna wanted to move back to El Dorado County to be nearer family that includes 12 grandchildren. 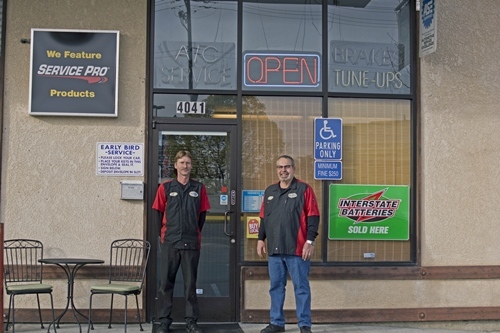 When the opportunity to purchase the business arose, it seemed like a perfect fit and allowed Fred to utilize his experience to offer customers with a fast and convenient service. Evan had worked for the former El Dorado Lube Express for about 10 years and is an ASE certified and Licensed Smog Technician. 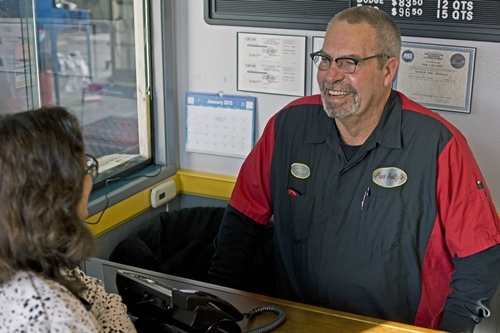 Evan has a strong following of customers who have become loyal due to Evan’s honest and thorough approach to auto repair.